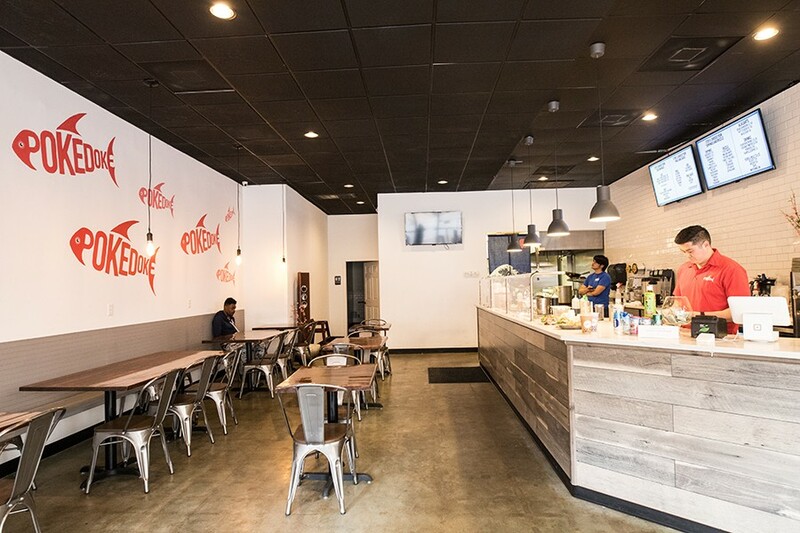 Poke bowls are joined on the menu by crab Rangoons and soft-serve ice cream. 8 South Euclid Avenue, 314-833-5900; Mon.-Sat. 11 a.m.-10 p.m.; Sun. 11 a.m.-9 p.m. 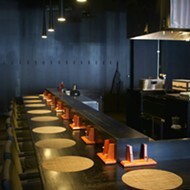 When I approached the order counter at Poke Doke around 6 p.m. on a recent weeknight, the scene bordered on chaotic. 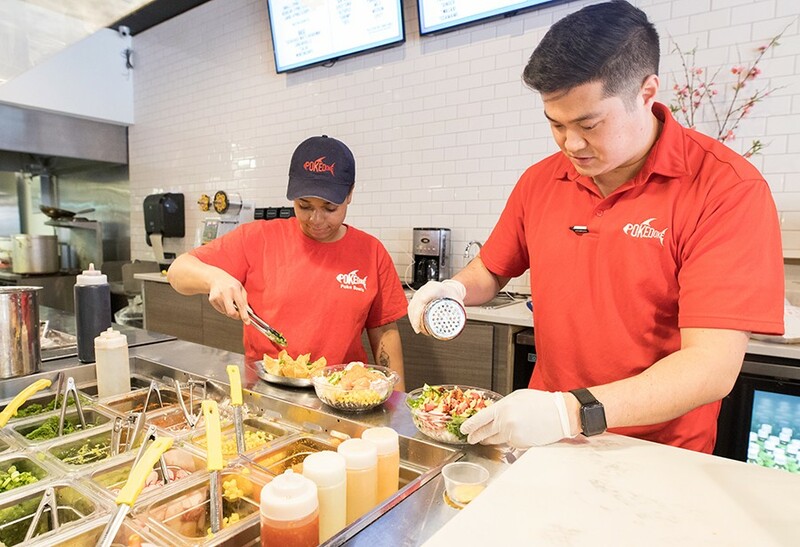 As a line of customers around eight deep queued up to customize their bowls of poke, three employees worked at a feverish pace to keep up with demand. At one point, they were doling out toppings with such ferocity I swear I saw sesame seeds and fried wonton crisps fly through the air. Looking out over the dining room, I understood why the line was running out of ingredients and the workers looked like they were in the midst of battle. Though the space is not massive, it's big enough for roughly 30 people — yet every last table was full. And, as the manager suggested when we asked how things were going, it had been like this all day. "It's poke-riffic!" he laughed. It's poke-riffic indeed for Andrew, Annie, Leon and Steve Shih, the four siblings who took a chance on building a brand around bowls of raw fish in the middle of the meat-and-potatoes Midwest. 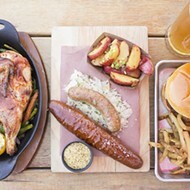 To a restaurant newbie, it might seem like a gamble, but the Shihs are no neophytes. The brothers and sister were born into a family of restaurateurs and grew up in the business, watching their grandparents, parents and uncle run different Chinese restaurants in the area. They seemed destined to join the industry. Andrew Shih serves as the managing partner for his siblings. However, other than Andrew, who worked for his parents at their Chesterfield restaurant Hot Wok, the siblings took different career paths. Though they were all fairly content with their professional engagements, a trip to Disneyland last year lit a spark that made them reconsider. 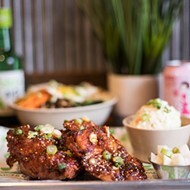 The Shihs stumbled into a poke restaurant one day for lunch and instantly fell in love with the fresh, exciting flavors. Once their eyes were opened, they began to notice the genre's prevalence in the Los Angeles area and lamented that it was not available to them back home in St. Louis. They made a pact to change that and got to work developing Poke Doke. 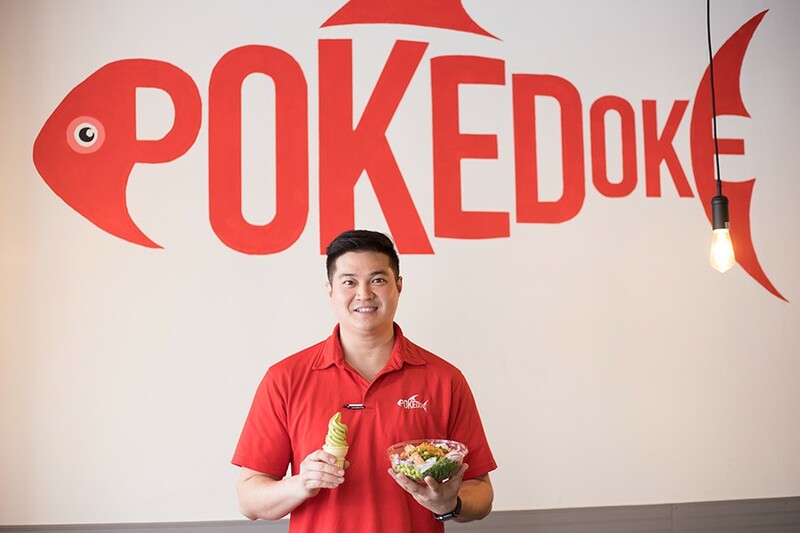 While the other siblings continued to work at their day jobs, Andrew took on the role of managing partner and traveled regularly to southern California to learn as much as he could about poke. He came back energized with recipes and confident that a fast-casual model — the Chipotle of poke — was the way to go. The Shihs agreed. After finding a building, they signed a lease last July, opened last October and have been busy ever since. 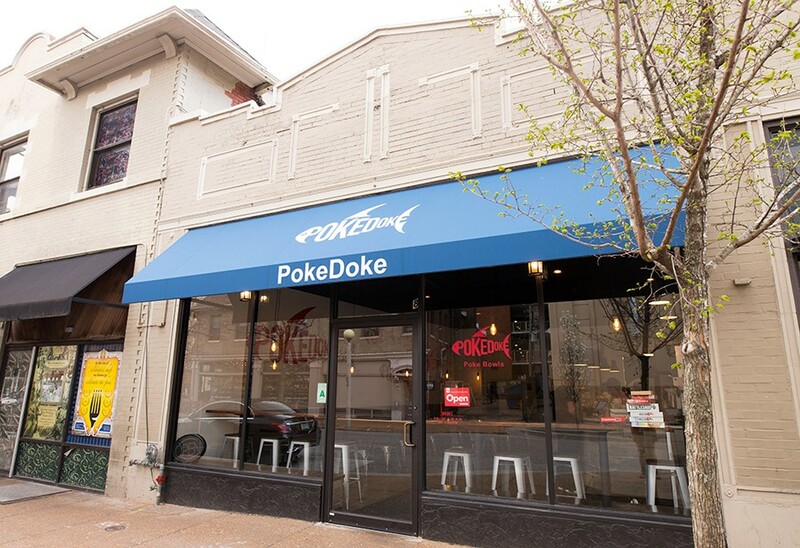 The location, which is just south of Laclede on Euclid in close proximity to the massive BJC medical complex, seems key to Poke Doke's success. 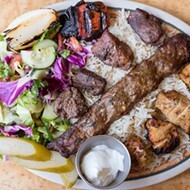 On my visits, a significant portion of the clientele was dressed in hospital scrubs, a testament to the demand for a quick yet flavorful and healthful dining option within walking distance of the medical center. Add to this the fact that you can get these options, even when there is a line, in no more than five minutes, and it's no wonder the fish is flying off the shelves. 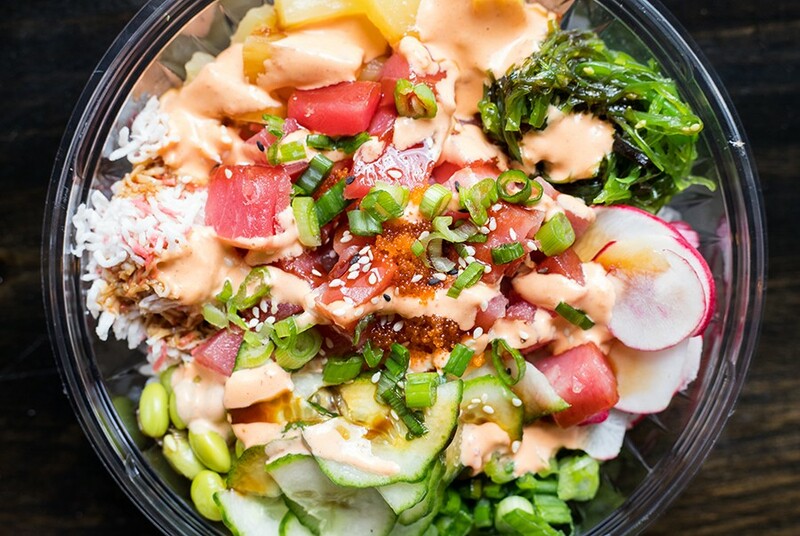 An ahi tuna poke bowl can be topped with cucumbers, edamame, crab meat, pineapple, radish, seaweed salad and green onion. Or, to be more precise, the fish is flying into bowls. As with the Chipotle model, Poke Doke patrons choose a base (such as rice, soba noodles or greens), select their main protein and decide how many scoops of it they want, then dress it with as many accoutrements and sauces as will fit in the bowl. 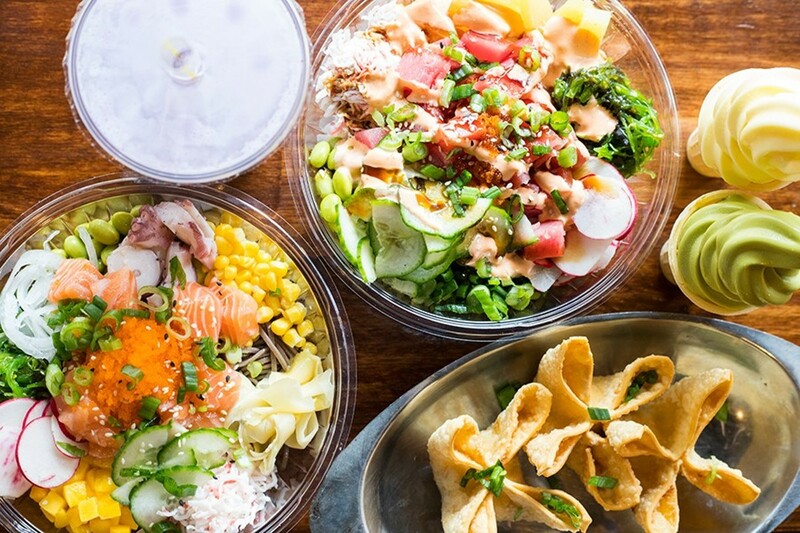 Unlike the city's other new poke concept, Blk Mkt Eats, which opened not long after Poke Doke in Midtown, there are no suggested preparations and no pre-ordained bowls. For better or worse, customers here are on their own, able to customize to their heart's content. Soba noodles prove an alternative to rice. They're shown here topped with salmon, octopus, corn, ginger, mango, seaweed salad, onion, edamame and crab meat. I enjoyed the salmon over white rice and simply dressed with the restaurant's signature poke sauce, a sweet and vinegary soy. Hunks of smashed avocado, sliced radishes, edamame and cucumbers enhance the freshness of the fish and allow its flavor to shine through. As a finishing touch, I opted for the wasabi mayo "drizzle," a surprisingly mild concoction but pleasantly so as it did not detract from the salmon, the superstar of the dish. Ahi tuna, the quality and watermelon color you find at a high-end sushi restaurant, is cut into cubes and serves as the restaurant's de facto signature because of its association with the poke form. As a personal matter, I prefer its texture and flavor to that of the salmon, though both are exquisite. Again, I'd recommend either a brown or a white rice base for experiencing this fish, then loading up on just enough condiments to enhance, not cover up, the wonderful tuna. Shih and employee Erin Mann assemble the bowls Chipotle-style in an assembly line. If you're less interested in the simple pleasures of fish and more in playing around with accoutrements, both the shrimp and tofu are neutral enough that they benefit from the enhancements. The former are simple chilled shrimp (smallish versions of the ones in shrimp cocktail), and the latter, by its very nature, is made to soak up flavors. I paired the shrimp with the briny seaweed salad and the tofu with the spiced kimchi. I liked the second combo better because of how the funk and chile heat from the fermented Korean vegetables infused the tofu with complexity. As good as the ahi is, though, I was not impressed with the spicy tuna. I expected the sort of chile-mayo tossed tuna salad you find at sushi restaurants, but was instead presented with fish that was so minced, it had a pasty texture. At first, I thought I had mistakenly been given masago instead of tuna, but this is just Poke Doke's style of preparation. 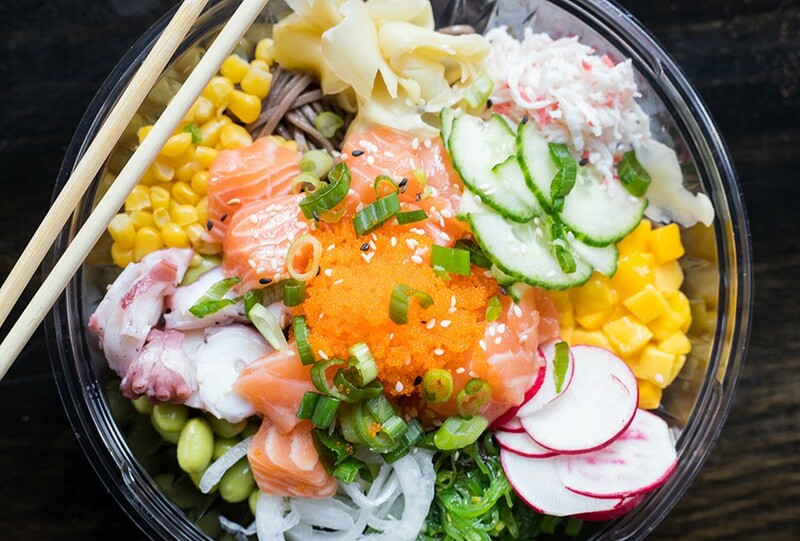 Unfortunately, the pastiness does not work well for poke; it ends up getting mushed into everything else in the bowl to the point it is unrecognizable. Just order the ahi instead and ask for extra spicy mayonnaise "drizzle." The space has plenty of seating, but still can get packed. The soba-noodle base was also not as enjoyable as the other options. The noodles were overcooked to the point they were mushy, with a slimy glaze. Paired with raw fish, it was off-putting. I appreciate that Poke Doke serves something other than rice, but I'd appreciate it more if it was cooked better. 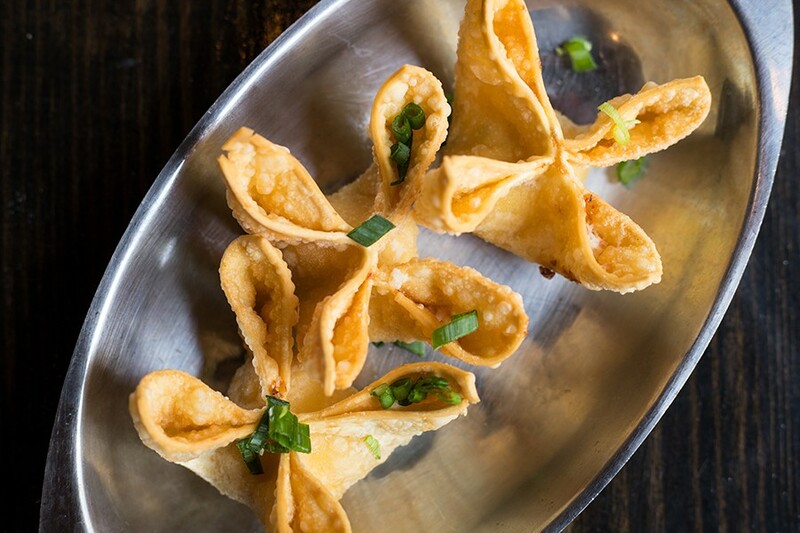 As a nod to their family's restaurant background (and also to provide some options for meat eaters), the Shihs offer a handful of appetizers like classic pork-filled potstickers, which delight with delicate, crisp-around-the-edges wonton wrappers. The crab Rangoon recipe comes from the Shihs' parents' restaurant. Hot braised chicken wings are another riff on a Chinese restaurant staple. These are plump drummies, blanketed in a breading that is so light you won't know where the skin ends and the coating begins. Unlike the cloying gloppy sauce so often associated with the dish, Poke Doke's hot braised sauce is a light sweet chile glaze. It's pleasantly understated. Crab Rangoon relies on the elder Shihs' longtime secret recipe and proves the perfection of the form. Generous pieces of green onion and black pepper enliven what is so often just a puddle of cream cheese. It's outstanding. 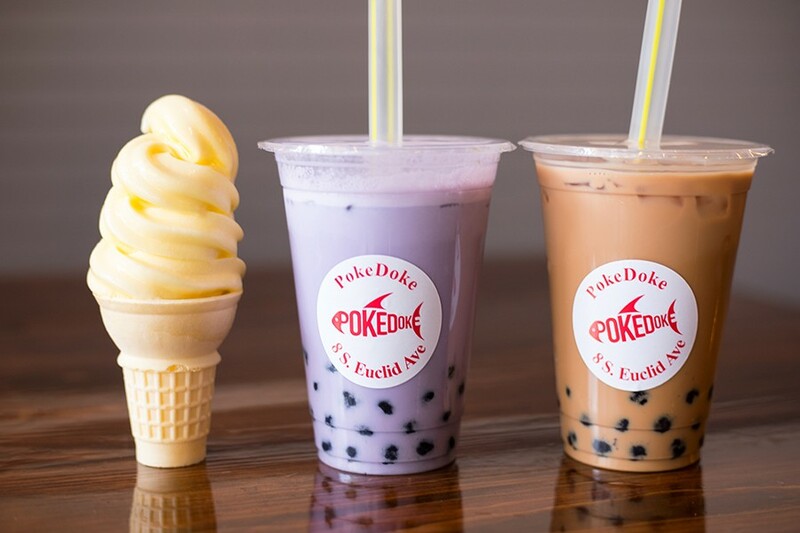 Dole pineapple soft-serve ice cream, taro bubble tea and milk tea are among the sweeter options. Tangy pineapple soft-serve ice cream is a welcome palate cleanser after the deep-fried dishes, which come out after your poke bowl. Logistically, there's really no other way around it; after all, bowls are made to order in front of you, while cooked food has to be, well, cooked. It still makes for awkward logistics, especially because there seems to be no real system for making sure the right dishes get to the right table. Employees are very friendly and walk around the restaurant searching for the correct guest, but there are no order numbers, pagers or table flags to assist them. 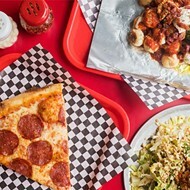 If the hot items take off the way the poke has, it will be chaos — and not the fun, poke-riffic kind that greeted me on my visits. 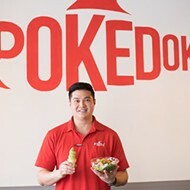 Still, the fact that the Poke Doke's biggest challenge is executing seamlessly in the face of enthusiastic demand is a testament to both the concept and the Shihs' ability to bring it to life. Their employees had better get used to being busy. The demand won't be lessening anytime soon.